For several years, municipalities in Massachusetts have been cracking down on begging. Friday afternoon marked the beginning of the end of these crackdowns. 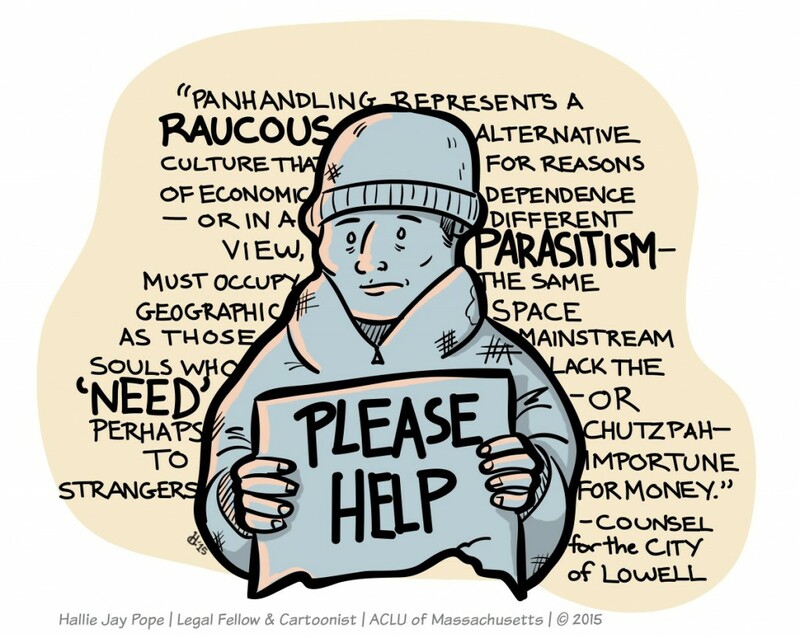 In a powerful and unequivocal decision, a federal judge ruled in McLaughlin v. City of Lowell that an anti-begging ordinance in Lowell is completely contrary to the freedom of speech protected by the First Amendment. Lowell’s argument was thoroughly rebutted by the ruling issued Friday afternoon. Citing several cases, including the Massachusetts Supreme Judicial Court’s landmark decision in Benefit v. City of Cambridge (an ACLU of Massachusetts case), U.S. District Judge Douglas Woodlock wrote that begging is “an expressive act” because it conveys a message of need. As a result, laws that restrict begging but not other speech amount to content-based censorship, which is presumptively unconstitutional. Indeed, Judge Woodlock explained that even Lowell’s ban on “aggressive” begging is problematic because it punishes aggressive conduct by beggars more harshly than it punishes aggressive conduct by other people. In other words, Lowell believes that begging expresses ideas. Lowell simply wants to silence those ideas, which is exactly what governments must not do. It is now clearly established that the first amendment protects people who express themselves by spending millions of dollars. How can it fail to protect people who express themselves by asking for one dollar? Lowell’s scorn can’t change the fact that poor people exist, that many of them have dire needs, and that they have the same free speech rights as everyone else. And Worcester, that goes for you, too.